The new WordPress 4.9 was officially released today and this time it's named after the legendary jazz musician Billy Tipton. 4.9 contains major widget updates and code editing enhancements as the Customizer workflow is also improved. 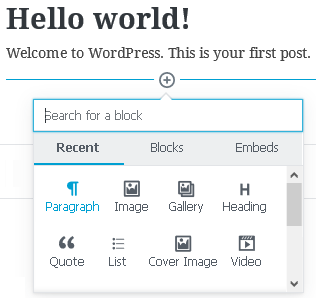 Gutenberg has not been yet integrated into the system so the old default editor isn't replaced in WordPress 4.9. However, if you have installed the Gutenberg plugin or plan to activate it, Gutenberg will become your default editor. You will still be able to edit content with the old editor, but this will be possible only by using the Classic Editor option. To get back to using the Classic Editor by default you can use the Classic Editor plugin. The current Gutenberg v. 1.7.0 offers numerous improvements such as supporting meta-fields (additional fields with information below the content), improved content generation process, embedding blocks within other blocks, navigation between elements by keyboard shortcuts, updates in the editor's performance, better revisions, especially in case of longer articles, and others. If you have not tried this plugin yet, now might be the right time to do it. Although many users are happy with Gutenberg, others are skeptical towards it. If you do not have any time to test it, you can check the user reviews on the plugin's page: Gutenberg: Reviews. You will sooner or later need to make a choice between the old or new editor. If you do fancy generating content by adding your own code through the editor text mode, it might seem to you that Gutenberg will take full control over the final version of your content. Everything that includes additional code will need to be placed into a Custom HTML block. 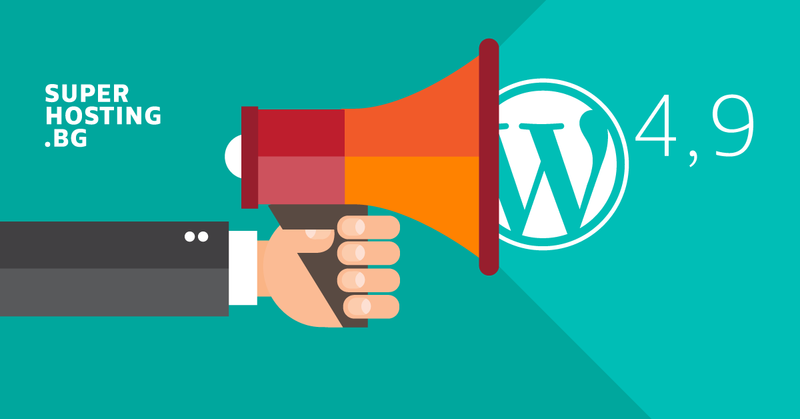 All new WordPress users will like Gutenberg since they still have not experienced having full control over final code in the editor's text mode and therefore they will not miss its benefits. For the rest of the users this will certainly play an important role when they make a choice between the classic editor and Gutenberg. Gutenberg is expected to be integrated in WordPress 5.0, released in about four months (March-April 2018). Yes, there are many updates in the tool for editing the website's appearance which is available in the admin panel section "Appearance". The Customizer is used for editing the appearance of your theme, menus, widgets, home page, etc. One of the main improvements in 4.9 is the option Save Draft by which you can draft changes (changeset) then later schedule them to go live on the date/time you choose. You can now view all changes before publishing them by using the new feature Share Preview Link. This link enables users with no access to the admin panel to view the changes as well. Until changes are not published, they are saved as draft in the Customizer and will load each next time you access the editor. To delete them, use the option Discard Changes. 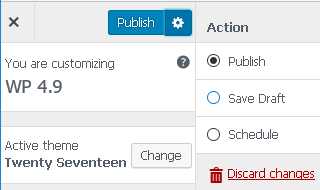 Elements of the changes such as generated new articles/pages are saved as Customization Drafts which still can be edited before the changes are published. Another improvement is the new experience for installing and previewing themes directly through the Customizer interface. The feature for revisions for changesets will be probably ready in the next WordPress version. There are also many widget updates as well as a brand new Gallery Widget. Now shortcodes are parsed in the Text Widget by default. This allows you to embed media such as gallery, audio, video and few others in the widget. The Video Widget already supports other video sources besides YouTube, Vimeo or pre-uploaded video. There is a new indication that widget changes have been saved. This is especially useful in cases when we click the Save button several times because we are really not sure if we have saved our changes. Now the button text will automatically change to Saved. The process of theme switching has been considerably improved as the bug for widgets disappearing is now fixed. • The Press This Button has been removed in WP 4.9, but you can take it back by using a plugin. • Since WordPress 4.8 the official support for Internet Explorer 8, 9 and 10 has been discontinued. This concerns not so much regular users, but developers. Developers now do not need to consider those older browser versions and add support to the CSS code. This will enable certain CSS classes to use correct modern syntax and standardize across the codebase. • The CodeMirror library has been added to the core as it is used for code editing. Before updating to WordPress 4.9 we highly recommend that you make a full website backup. If necessary, you can easily restore your website from WordPress Manager by SuperHosting in cPanel.